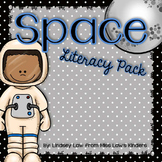 There's No Place Like Space - Literacy Centers That Are Out Of This World! 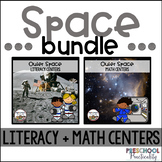 In this set of literacy centers, students will use space words to listen and count syllables as well as place them in ABC order. 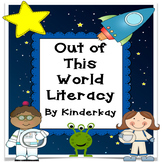 This packet contains 12 literacy centers. The skills for each center are listed below. 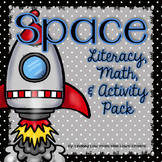 These skills go along with the scope and sequence of Set 7 Outer Space in our series of easy-to-decode phonics books, the Half-Pint Readers. 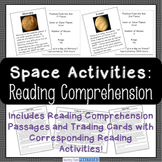 You will notice how the skills gradually build with each set of centers.